How our brains evolved & how to use mindfulness & compassion training to gain inner peace. 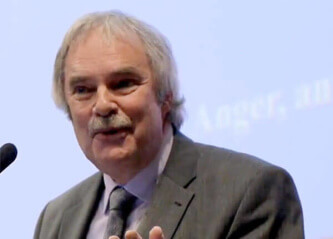 Paul Gilbert is a British clinical psychologist. Gilbert is the founder of the Compassion Focused Therapy (CFT), Compassionate Mind Training (CMT) and author of books such as The Compassionate Mind: A New Approach to Life’s Challenges and Overcoming Depression. Paul was head of the Mental Health Research Unit, Derbyshire Healthcare NHS Foundation Trust. He remains Professor at the University of Derby. In 2011 Gilbert was awarded the Order of the British Empire (OBE) for his continued contribution in mental healthcare.